Store your keys for your letterbox, doors, cars... all in one safe place. 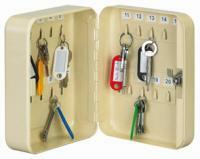 This key cabinet can store up to 24 keys or bunch of keys. Lockable, it is designed to be wall mounted. Key tags are also supplied. Wide selection & item pricing. Thought p&p excessive even if isle of man. Ordered item from usa yesterday & shipping was only GBP 17.50. Product was just what i need! 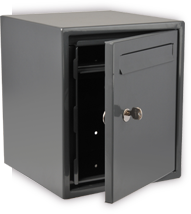 19-10-15: Cheapest price key cabinet. 10-07-15: Product looked exactly like what I required and the price was good. Simple, easy website. Wish more sites were like that. 22-03-15: Suitable product. Shipping charge a bit rip-off !